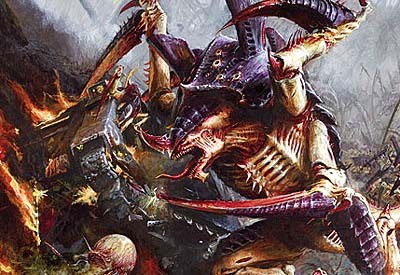 As a way of helping all Tyranid (and us non-bug players out there too), FTW has collected some of the best Tyranid blogger articles out there. From modeling to painting and whatever else we could scrape together before the bugs ate it, it's all listed below in hopes that it might help you out. Dipping Tyranids by Transmutation Inc. Excellent posts all round. I really wanted to contribute to this but my 'Nid stuff only arrived today. How did I miss this in my reader? Loads of nids goodness, I know what I'll be doing this afternoon.